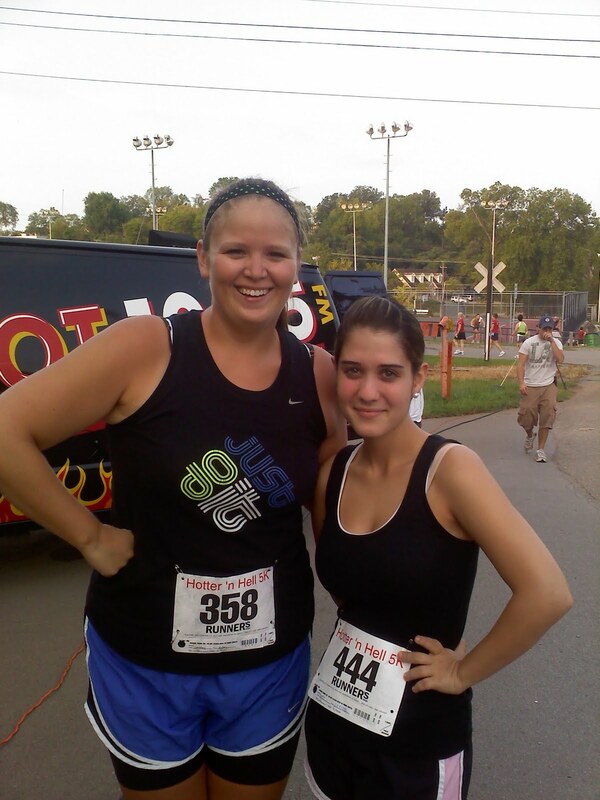 Last year during HnH 5k, I did it in 37 minutes. I’m totally aware that a lot of runners would not say that was a good time, but at the shape I was in then, it was. This year, I was more prepared and about 40 pounds lighter. So I signed up and was so stoked that this could potentially be the 5k that I finally break 30 minutes in. I twisted my friend Kim’s arm into doing it with me and boy I’m glad she did. We met in the back parking lot of a Shoney’s and rode together. Such bad girls we are. We even planned to match! After taking a bathroom break, and doing a slight trot around the park to “warm up”, we were all set to go! From the very beginning I knew we were going fast. Every single time I looked down at Garmin, we were under a 10 minute pace. To me, that’s flying since most of my training runs are above an 11 minute pace. But I kept up and hit mile 1 at 9:46. Uh oh, I was going too fast. So I slowed down and let Kim go on in the attempt to break 30 minutes. Mile 2 came and at this point I had cold chills. NOT GOOD. I started playing mental games with myself in order to make it up hills and begged God to just get me to the finish. My mile 2 split was 11:07, an obvious slow down. I knew I wasn’t going to break 30﻿ and I knew I wasn’t going to set a PR, I just wanted to be done. The race ends on a slight uphill grade that seemed never ending once I had to run up it. I gave it all I had to get up that hill and across that finish line. Once there, I saw my friend Ed, who knew I was in distress, then let my friend Robyn cut off my chip since she was working the finish line. Too bad I didn’t look this great at the finish! I made my way out of the finish chute and just fell to the ground while poor Kim was trying to get me water. A paramedic came to help me and all I could say was how cold I was. 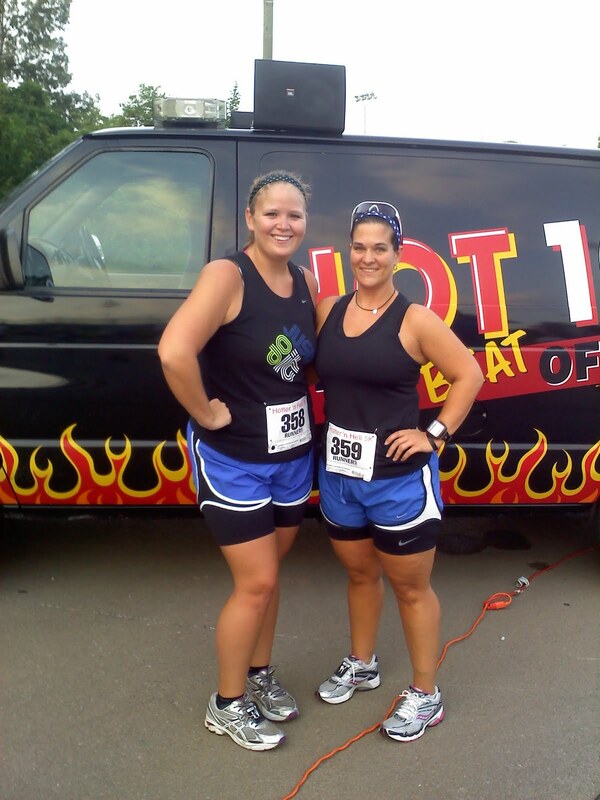 Too bad its the “Hotter than Hell” 5k. After being wrapped in a warm blanket and getting fluids in me, I finally felt better. Whew! Props to Kim for being a great friend and helping me out because I felt like death! It had to be embarrassing and scary on her part. Actual results have yet to be posted, but I think I came in at 33:10ish. Not my best, but not my worst, and a whole 4 minutes off last years time! Go me!! I’m doing a 5k in about three weeks that I hope to NOT get sick at and actually finish in under 30 minutes. We’ll see. But all in all today’s race was great and even though I became a little ill and didn’t get my projected time, it was a learning experience. 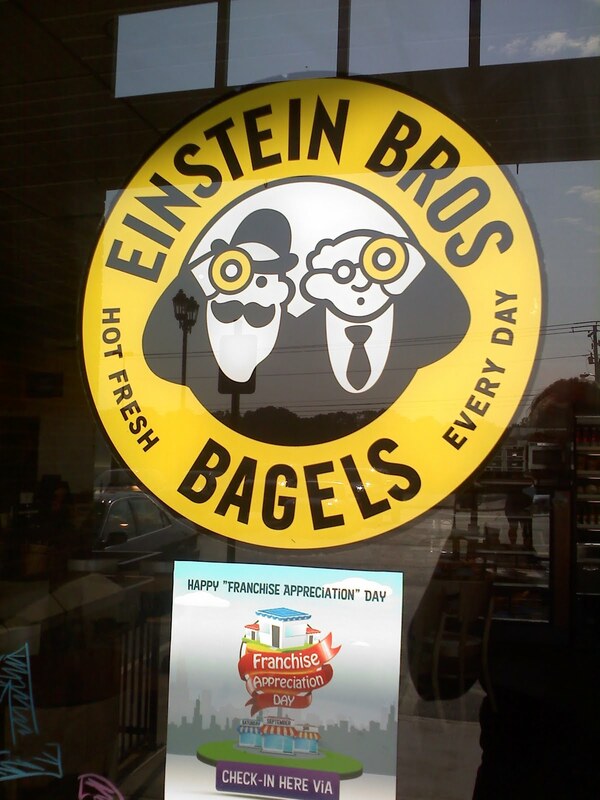 Plus, Einstein Bros bagel company gave us free bagel cards for after the race! Well sure, I’d love free chocolate chip and cranberry/cream cheese bagels. Did you run a race this weekend? Have any good long runs? Let me know all about them!! scary that you got so cold! glad you are okay now! good thing you will have sweet redemption in a few weeks where I am sure you will totally dominate! love seeing a year's worth of progress though…congrats! Way to go!! Glad you're okay! Scary! we are So hot and awesome!! I am extremely proud of you! I'm sorry too though. I am not embarrassed at all nor would I have been. I felt (and still do feel) horrible that happened to you. I am glad you are ok. Thanks for asking me to run that one. It was fun! Oh my gosh! I am so glad you are okay. How scary! !Great race, though, in my opinion – way to go! You should be proud of the accomplishments you made since last year! 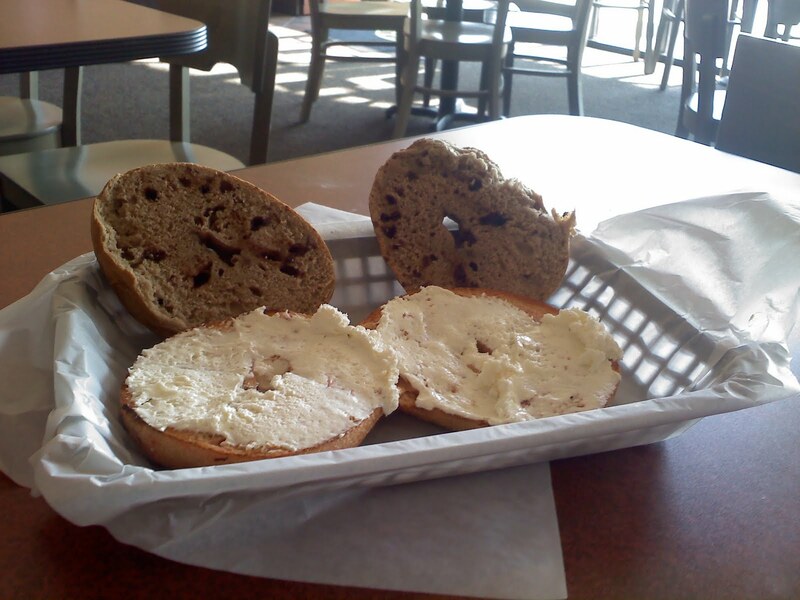 That is freakin' awesome!Thanks for sharing and those bagels look amazing! !